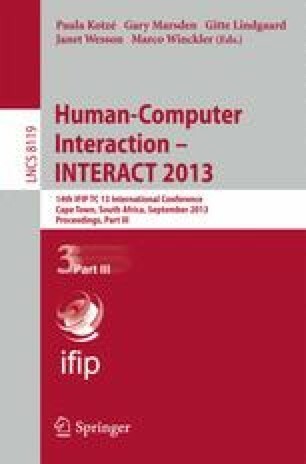 This paper investigates the effects of encumbrance (holding different types of objects while using mobile devices) to understand the interaction difficulties that it causes. An experiment was conducted where participants performed a target acquisition task on a touchscreen mobile phone while carrying different types of bags and boxes. Mobility was also evaluated since people carry items from one place to another. Motion capture hardware was used to track hand and arm postures to examine how holding the different types of objects caused excessive movement and instability therefore resulting in performance to decline. The results showed encumbrance and mobility caused target accuracy to decrease although input while holding the box under the non-dominant arm was more accurate and exerted quicker targeting times than holding no objects. Encumbrance affected the dominant hand more than the non-dominant hand as targeting error significantly increased and caused greater hand instability. The issues caused by encumbrance suggest the topic requires more attention from researchers and users would benefit greatly if better interaction techniques and applications are developed to counteract the problems.